Can Silver By Nature Win Another GN Trial? 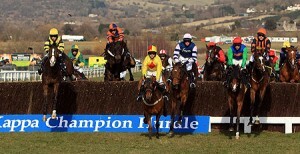 Steeplechasing is back at Cheltenham today. Hooray! Finally, we have some jump racing, dear reader, and not just any old jump racing either. Cheltenham stage their December 'International' meeting over two days, today and tomorrow. And a stellar card has had a further jewel added to it in the form of the Tingle Creek, which has been re-routed from Sandown's recent abandonment. Whilst the majority of the big races are tomorrow, today's Listed Majordomo Hospitality Handicap Chase (2.25 Cheltenham) has a top class alumni, which includes Mon Mome, Royal Auclair, Kingscliff and Marlborough in the last decade. A field of the class that befits such a race has assembled, and the trends seem strong if not bulletproof. So let's try to whittle down the seventeen starters to a shortlist of plausible contenders. First up, with the exception of 2006 winner, D'Argent, all of the other nine winners were aged six to eight years old. D'Argent at nine was the outlier. Older horses have failed to score and are struck from the field. 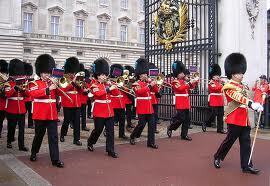 So it's pip pip! to From Dusk To Dawn, That's Rhythm, Knowhere and Irish Raptor. Now then, after that early 'weeding of the weak', let's look at the race parameters today. It's nigh on three and a quarter miles at top speed over Cheltenham's testing circuit. No wonder that nine of the last ten winners had won over 3m1f or more. And, moreover, that eight of the ten had previously been first or second over at least three miles here at Chelters. 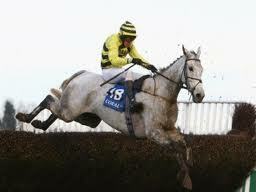 Neptune Collonges hasn't, nor has Rare Bob. Nor Exmoor Ranger, Forest Pennant, Palypso De Creek, Presenting Forever or Appleaday. Eleven down on those scores, six left standing. The remaining stats players are: Midnight Chase, Knockara Beau, Beat The Boys, Horner Woods, Faasel and Any Currency. I'd fancy the winner to be lurking in that sextet. But where exactly? Well, eight of the last ten winners were officially rated between 132 and 150. Furthermore, eight of ten had just one seasonal run (six) or came here for their seasonal debut (two), and the other two had two and three previous seasonal runs. These two elements in conjunction suggest that Midnight Chase, impeccable flag bearer for the rising Neil Mulholland yard, has it all to do here. Down at the other end of the weights, Any Currency has had two previous seasonal outings, and flirts with the lower reaches of the official ratings band. Neither element is sufficient to deal a killer blow, but I will look elsewhere for a more robust 'fit'.Especially considering that, aside from the years when ten and eleven runners contested this race, the other eight had all won in fields of at least thirteen. Any Currency did win a point to point in a against thirteen rivals, but under rules the most he has vanquished at a single turn is eleven. Knockara Beau was pulled up last time, something none of the previous ten winners did on their prior start, and there has to be a question mark against his wellbeing for a battle royale such as this. Aside from that, he has plenty going for him in the context of this race. For instance, like nine of the winners in the last decade, he has won or placed in 50% or more of his chase runs. At this point, I'm going to reluctantly draw a line through the nine year old, Beat The Boys. His age group has a poor overall record, and his own recent form doesn't really stand up to close scrutiny (pulled up or fell in seven of his last ten starts, though did win two of the others). The final nail in his race consideration coffin is this: all seven of the non-French-bred winners of this race had had twelve or less chasing starts. Beat The Boys, an Irish bred, will be having his nineteenth chase run and it is unlikely that he has anything hidden from the handicapper by now. The other shortlisted nine year old is Faasel, and his life support machine, in the context of this race, is kept a-beeping by the fact that he is trained by David Pipe. The Pipe's have won four of the last ten renewals of this affair, and whilst that normally means dad won them all, in this case it's two apiece. Faasel has won in fields of thirteen twice and did win a two year old race at Galway (tricky track though a million miles from Cheltenham, constitutionally if not geographically!) in a field of eighteen. He was a stout and staying on second in the Kim Muir over the same course and distance last March, and goes on good ground or softer. Seemingly nicely weighted, his stable will doubtless have him fit enough for today's seasonal debut. If you can forgive a horse one bad run, then Faasel looks the most likely fit here. Any Currency may well make the most of the weight concessions he receives almost universally here to follow the Pipe old boy home. 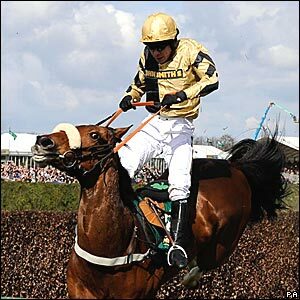 A Race Too Far for Denman and Kauto Star? My conviction is predicated on the fact that we are (over)due a 'changing of the guard' at the top of the staying chaser category. 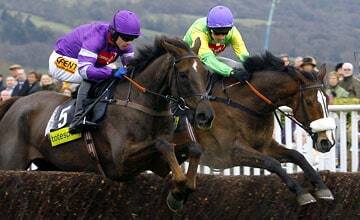 Two of the big three, Denman and Kauto Star, are going to be eleven on January 1st (when all horses gain a year in age). Without question, they are two of the finest National Hunt horses for a generation... but they're not getting any younger. 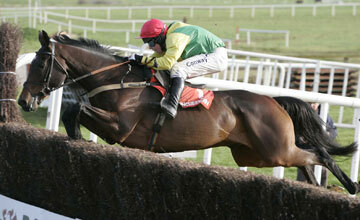 The other, Imperial Commander, last year's Cheltenham Gold Cup winner, will be ten years old on the first day of 2011. No spring chicken himself, despite relatively few miles on the clock. And the fourth horse in the betting in some lists is Big Buck's. Actually it's only William Hill's greedy list, where he's a 12/1 shot. If I tell you that he's 143 currently on Betfair that tells you all you need to know. He won't run in the Gold Cup, because he's won the World Hurdle for the last two years and he'll be going for a hat-trick there. Moreover, even if he did go the chase route, he's a lousy jumper and a good stone below top class. Factor in his sulky 'on and off the bridle' running style, and 143 is much closer to his true chances! So, where does that leave us? Well, unless you're a rabid pin-sticker, it leaves us with 20/1 the field in a lottery. But that's where the stats come in. I've done my usual number bashing, and discovered some pretty interesting nuggets. The sum total of my nuggets is that one horse has a fine Gold Cup profile at this stage... though that could certainly change before the end of the year. Let's get down to it. I looked at nationality, odds, age, last time out performance, best seasonal performance, top official rating, TopSpeed figure, and Racing Post Rating prior to winning; and also at past Cheltenham Festival form. And I can tell you this... most winners conform to a fairly tight profile. - All ten winners went off 15/2 or shorter in the betting. 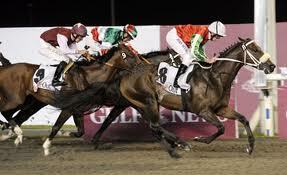 However, in the three years prior to that, the winners' odds were 16/1, 25/1 and 20/1 respectively. 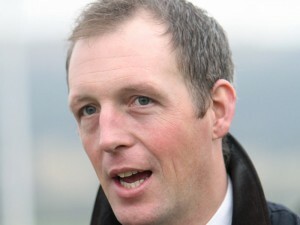 - Nine out of the ten finished first or second in a Grade 1 or 2 race last time out. And seven out of ten had their final pre-Gold Cup start in December, either in the King George or the Lexus Chase. 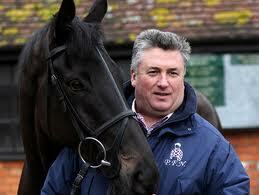 (Two of the three who had a run after December ran in and won the Aon Chase at Newbury in February). - The last nine winners had already recorded a first or second place finish in a Grade 1 contest that season prior to winning the Cheltenham Gold Cup. - Nine of the ten winners had had between six and twelve chase starts, and all ten had won at least four times over the big obstacles. - All ten were officially rated 159 or higher before winning their Gold Cup. 7/10 were rated 169 or more. - Nine out of ten had run a Topspeed figure of at least 157. This doesn't help a lot as most top class chasers should have recorded this figure or better. 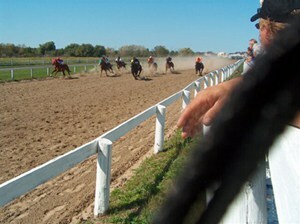 - All ten winners had registered a Racing Post Rating of 167 or more. - Perhaps most interestingly of all, nine out of the last ten Cheltenham Gold Cup winners had already finished first or second in a previous Cheltenham Festival race. The one exception was Kauto Star before his first Gold Cup win, and he'd fallen when a short priced favourite for the Arkle previously. Now that's all well and good, but what if it actually does nothing to reduce the field for this year's race? Well, thankfully, it does plenty to help us pare things to a more manageable conundrum. Firstly, unless you're prepared to roll back more than fifty years of Gold Cups, you'll be following me in striking a line through the venerable veterans, Denman and Kauto Star. Obviously, it would be a staggering and truly tear-jerking feat if either of the old boys could grab Gold Cup glory once more. But to bet on it would be to ignore the evidence of half a century. Not for me, with my head, despite my stated weakness where my heart is concerned. Long Run is a 25/1 shot at best, and 16's in places. He's only five right now and, despite turning six on New Year's Day, he's still got to overcome that age stat. Oh, and improve around a stone on what he's achieved so far. Not impossible, but not really a betting proposition either. And finally, in the orange'y autumnal amber section, I've placed last year's impressive Gold Cup winner, Imperial Commander (and very talented long-term absentee, Neptune Collonges). Both of these chaps will be ten next year. Cool Dawn in 1998, Cool Ground in 1992, and Charter Party and Desert Orchid in 1988 and 1989 respectively testify that it can be done. But no double digit winner has prevailed since 1998, and whilst I can't quite put my finger on why this is (I suspect it may be somehow tied to the emergence of more precocious French-bred's, despite their poor overall performance in the Gold Cup, Kauto Star aside), I'm loathe to pile into a ten year old attempting to win the Gold Cup. That said, I can find very few chinks in the champ's chainmail (easy for me to say) and, granted he gets there fresh and well, he's sure to take some beating. With those caveats to the fore, I'd be perfectly happy to risk taking a slightly short price as a day of race saver... especially if my ante-post interests have shortened in the betting in the interim! Moving on, and the next few trends that I consider key are those surrounding Festival and seasonal form - welcome back, form book munchers! I wouldn't discard you as easily as that! To remind ourselves of the recent evidence of some paragraphs ago, first or second in a previous Festival race seems to be very important (only the fallen favourite, Kauto Star, failed on this score prior to his first GC win). And it also seems to be key to have demonstrable Grade 1 form that sesason in the form of a win or runner up position in a Grade 1 contest. At this stage, we'll place more emphasis on the Cheltenham Festival credential as, clearly, there is ample time for Gold Cup contenders to illustrate their top class merits in the Grade 1 races to come. So, focusing on past Festival glories (or very near misses) leads us to closer review Punchestowns (2nd in the 2009 World Hurdle); Cooldine (won 2009 RSA Chase); Burton Port (2nd RSA Chase 2010); Somersby (2nd Arkle 2010 and also 3rd Supreme Novices 2009); Sizing Europe (won 2010 Arkle; favourite when disappointing in the 2008 Champion Hurdle); and, Mikael d'Haguenet (won 2009 Ballymore Hurdle). Although not strictly qualifying on this point, honourable mentions in despatches go to Weird Al, who has two Cheltenham novice chase wins to his name, neither at the Festival; Planet of Sound, who was 3rd in the 2009 Arkle; and the unlucky Carruthers, who has a fourth place in both the Gold Cup this year, and the RSA Chase in 2009. Looking for a first or second place finish in a Grade 1 at this stage of this season is extremely premature. However, there are some that have already qualified, and all the others have to earn their ticket by running a tip top race in a tip top race. Those that have already gone 1-2 in a top class affair are: Imperial Commander, Kauto Star, and Sizing Europe (second, beaten four lengths by Kauto Star). And, at this stage, there is only one horse I'm interested in. And that's Sizing Europe. There are question marks about his stamina, even though he plugged on gamely in that three mile Grade 1 at Down Royal last time on soft ground. He wouldn't have enjoyed the conditions especially, and he's certain to plummet in the betting should he win or run close in the King George (for which he's a best priced 16/1 and a general 12 and 14/1 chance). So far, Sizing Europe has had eight chase runs, and never been out of the first three, winning five of them (including this year's Arkle, and a Grade 1 novice last Christmas).He's a nine year old next year, has run the requisite figures (with the exception of a Racing Post Rating one pound shy of the qualification mark), has already demonstrated his liking for the Festival and his ability this season, and a placed finish in the King George would surely see him cut to around a third of his current 33/1 best price quote (Victor Chandler only). He's as short as 16's with Paddy Power, and is a general 20 and 25/1 shot. He's still got improvement in him, which is good as he'll need to find fifteen pounds or thereabouts to beat Commander, Kauto or Denman. Now I actually believe that those three may all prove to be regressive this season, as age catches up with them, so it may be that improvement of around ten pounds is enough. That's conjecture and has little place here, aside from attempting to add ballast to my already struck ante-post punt on Sizing Europe. One final point on Sizing Europe. He's likely to have entries in the Champion Chase (two miles) and the Ryanair Chase (2m5f) as well as the Gold Cup, so win only is the way forward for this - and indeed most - ante-post tickle(s). 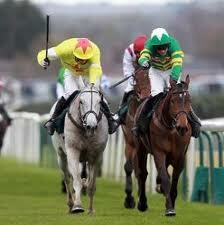 Sizing Europe to win the Cheltenham Gold Cup? As I say, there are others who may come into it as time passes between now and March, but there are really only three races to take special heed of: the King George on Boxing Day, the Lexus Chase on 28th December (I think), and the Aon Chase in early February. The first two are more important than the last named. Finally, the Hennessy is shaping up to be a fantastic race this weekend, but in reality it is likely to shake up the Cheltenham Gold Cup betting far more than it actually deserves to. Apart from confirmed Newbury fanatic, Denman, the last horse to win - or even run in - the Hennessy en route to winning the Cheltenham Gold Cup in the same season was Jodami back in 1992. (He finished second that day, and the horse one place behind him, The Fellow, went on to win the following year's Gold Cup). As the prices slash on any number of close up Hennessy runners, remember that a) it's a Grade 3 contest, and b) they're all getting a stone and a half off Denman. If you want to see my workings out, and maybe put your own spin on the data, click the image below. p.s. what's your take on the Gold Cup? Kauto? The Commander? Durable Denman? Or a new kid on the Hill? Leave a comment, and let us know where your money's going to be.